Over the past few weeks, many Bush administration officials have begun rewriting history in an effort to burnish President Bush's legacy. 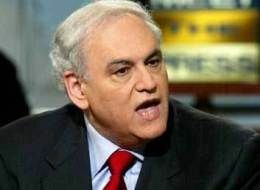 Following suit, neoconservative war hawk Richard Perle has taken the opportunity to polish his own record during the Bush years -- mainly on Iraq. Maybe we should send him some PNAC documents to refresh his memory.